Mary Shelley's story of the Frankenstein creature came from Byron's insistence that he and his guests entertain themselves on a rainy day on Lake Geneva with ghost stories. Mary's was by far the most original, and was very popular for its theme of reaching beyond, and possible consequences of such reaching. Her narrative not only documents the scientist but also illuminates the creature's story. The pursuit of the obscured truth may also be found in Edgar Allan Poe's detective stories (www.createspace.com/4185216). As for Mary Shelley, one of her MSS only emerged a hundred years after it was written. Matilda (www.createspace.com/4177083) is a gothic tale of an orphaned girl whose father returns after fifteen years, but then develops a secret malady, which, when Matilda uncovers it, leads to disaster for both. able before she was born. William Godwin, the philosophic radical and Mary Wollstonecraft, author of Vindication of the Rights of Woman had already been living together for a couple of years before MW's pregnancy urged them to marriage, an institution they both professed to despise, on March 29, 1797. Mary was born August 30, and her mother died of birthing complications not long afterward. Godwin was left with the four-year-old Fanny (daughter of Mary Wollstonecraft by an earlier alliance with Gibert Imlay) and the newborn Mary. The brilliant philosopher proved ineffectual as a single parent for Mary's first four years, and after several refusals from other women, he married a neighbor woman, Mary Jane Clairmont, an unintellectual woman with two children of her own-Charles, age 7, and Clara Mary Jane, Mary's own age. Jane later went by the name of Claire Clairmont, and was for a number of years linked with Mary, even traveling abroad with her after her marriage to Percy Shelley. Mary's personal experiences with giving birth were also horrendous, and quite recent in her life. Her own mother died eleven days after an eighteen-hour labor with her, at the age of 38. 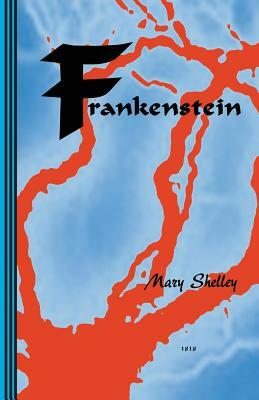 Mary herself was still a teenager when the Frankenstein story was hatched, just fifteen months after the death of her first baby, a girl, and four months after William, her second child, was born. She later wrote other novels but none with the great impact of her first novel.